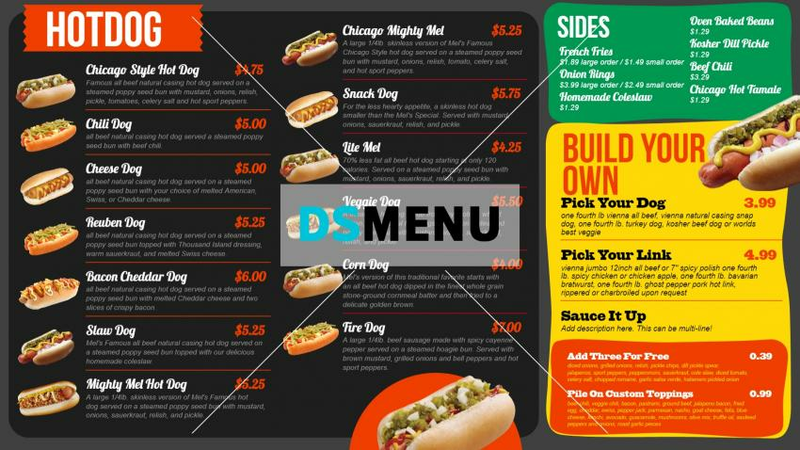 This hotdog menu board has a vibrant feel given the bright and resplendent multi-colors with a dominant black background along with red, green and yellow colors, while highlighting specific incentives for the customers. The lean and structured menu comprises of a sumptuos mix of several hotdog variants, showcased by attractive images. On a digital menu board, the colors and graphics will stand out to provide a classy impact with the target audience.